Born in Hungary in 1847, Joseph Pulitzer came in the United nearly penniless – using all his money to pay for his passage – to enlist in the Union Army during the Civil War. He joined a German cavalry regiment for the Union, the Lincoln Calvary, and served until the end of the war. Unable to find work in News York following the war, he worked made his way to the Mississippi River, eventually earning passage across the river by agreeing to shovel coal on the ferry. He did menial jobs around St. Louis. He began his journalism career in his early 20s at the Westliche Post, a German-language daily newspaper published in St. Louis. Pulitzer worked his way from cub reporter to part owner, then left to pursue new interests. In 1878, he purchased the 15-year-old bankrupt St. Louis Dispatch and merged it with the 3-year-old St. Louis Post to form the St. Louis Post-Dispatch. The paper prospered under the hard working owner whose paper championed the public and fought against corruption. Pulitzer’s son Joseph Pulitzer II would take control of the city’s dominant evening paper upon his father’s death. Pulitzer’s newspaper interests moved to New York from St. Louis. He purchased the World, a morning paper, with financier Jay Gould in 1883. The World prospered and battled for circulation, first with Charles Anderson Dana, publisher of The Sun, and later, with William Randolph Hearst, of the New York Morning Journal. Eventually, the strain of the newspaper business and continued failing health led Pulitzer to give up the management of his newspapers in 1887 and editorship in 1890. Over the next years, Pulitzer, who was virtually blind and suffering from extreme sensitivity to noise as well depression, retreated to his yacht, his New York mansion and the summer home he rented in Bar Harbor, Maine. Despite his poor health, he continued to influence the editorial pages of his newspapers. Pulitzer died aboard his yacht, the Liberty, in Charleston Harbor on the afternoon of Oct. 30, 1911, at the age of 64. His obituary in the New York Times said the immediate cause of death was heart disease. He left behind a wife, three sons and two daughters. Two daughters preceded him in death. In his will, Pulitzer left $2 million for the creation of the School of Journalism at Columbia University, which was founded one year after his death. Additionally, $500,000 of that sum was to be used for the creation of prizes and scholarships recognizing and encouraging outstanding public service and achievement in American journalism, letters and music. The first Pulitzer Prizes were awarded in 1917. Initially, Pulitzer specified the creation of four awards in journalism, four in letters and drama, one for education and four traveling scholarships. Pulitzer also made provisions for progress by establishing an advisory board that would have power to change the structure and delivery of the Prizes. Today, the board allows online content in all 14 journalism categories and has adopted an all-digital entry and judging system. 2016 marks the 100th awarding of the Pulitzer Prizes, and journalism professionals all across the country are celebrating the centennial of journalism’s most prestigious award with four marquee events, several campfire initiatives and many smaller state programs and activities. New York Times has won 117. The first was in 1918 in Public Service. The most recent were three prizes in 2015 in Investigative Reporting, International Reporting and Feature Photography. William Randolf Hearst Jr., second son of William Randolf Hearst, Joseph Pulitzer’s nemesis in the era of Yellow Journalism, shared a 1956 Pulitzer Prize for international reporting shortly after being named editor in chief of the Hearst Corp. In 1918, the Newspaper History Award was given to Minna Lewinson and Henry Beetle Hough, 1918 Columbia University graduates, for their history of the services rendered to the public by the American Press during the preceding year. 1918 was the only year in which this award was made. Lewinson became the first woman to win a Pulitzer Prize in journalism and the first woman to be hired by the Wall Street Journal. Additionally, the Newseum unveiled a portrait on Jan. 28, 2016, of Joseph Pulitzer to coincide with the centennial celebration of the Pulitzer Prize. The portrait, on loan from a Pulitzer family member, was painted by renowned American artist John Singer Sargent. The portrait hangs in the Pulitzer Prize Photographs Gallery. In 2008, the Pulitzer Prize categories were opened up to allow online-only entries a major shift for the prizes that had previously been limited to newspapers. In a December 2014 press release, the Pulitzer Board announced expanded eligibility for two prize categories, Investigative Reporting and Feature Writing, to include many online and print magazines. This marked the first time magazine entries were allowed, in two categories. It is not unusual for a Pulitzer Prize winning novel to be made into a movie, but it is for a journalism category winner. Only two stories honored with a journalism Pulitzer have made the transition to the big screen. “Spotlight,” starring Mark Ruffalo, Michael Keaton and Rachel McAdams and released in November 2015, chronicles the true story of how the Boston Globe uncovered the massive scandal of child molestation and cover-up within the local Catholic Archdiocese. The Globe won a Pulitzer in Public Service in 2003. The movie has been nominated for a Best Picture Academy Award this year. The St. Louis Walk of Fame was established in 1989 to honor notable people of St. Louis, Missouri. Joseph Pulitzer was in the inaugural class of 10 to get a star. In 1884, Joseph Pulitzer used his newspaper, the New York World, to urge the public to donate to the American Committee for the Statue of Liberty, which had run out of funds to create the statue’s pedestal. Pulitzer’s efforts raised over $100,000 in six months, mostly through donations of $1 or less. The pedestal was completed and a statue of Pulitzer stands in Liberty Park to commemorate his efforts. The Pulitzer Prizes wasn’t Joseph Pulitzer’s the only bequest to New York. Pulitzer bequeathed $50,000 for the “for the erection of a fountain like those in the Place de la Concorde, Paris, France. Pulitzer got the idea to locate the fountain in Grand Army Plaza from Karl Bitter, the Austrian sculptor, who proposed a symmetrical plaza for this area,” according to the Central Park Conservancy website. 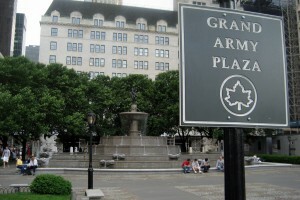 The Grand Army Plaza is located at 59th Street and Fifth Avenue. The Pulitzer Center on Crisis Reporting is an award-winning non-profit journalism organization, started in 2006, to sponsor independent reporting on global affairs. According to the group’s website, “The Pulitzer Center is a bold initiative, in keeping with its deep ties to the family whose name for more than a century has been a watchword for journalistic independence, integrity, and courage.” Core support for the organization comes from among other places, Pulitzer-family foundations. Full description on the administration of the Pulitzer Prizes can be found here. January: Entries are submitted digitally. Roughly 102 judges, who make up 20 separate juries, begin reading through the entries. Late February/Early March: About 77 editors, publishers, writers, and educators gather in the School of Journalism to judge the roughly 1,100 entries in the 14 journalism categories. Juries in the journalism categories are made up of either five or seven members. Each jury is required to offer three nominations but in no order of preference. March/April: Members of the Pulitzer Prize Board read all the entries, including the 14 journalism categories, and review the nominations from the jurors. Early April: The 18-member board meets for two days in the Pulitzer World Room of the Columbia School of Journalism to select the award winners. Awards are made by majority vote. The board can make no award, select an entry that has not been nominated or switch nominations among the categories. April Announcement: The announcement of the prizes takes place several days after the meeting in the World Room and is read at 3 p.m. ET. The announcement includes the name of the winner in each category as well as the names of the other two finalists. The three finalists in each category are the only entries in the competition that are recognized by the Pulitzer office as nominees. In journalism, if more than five individuals are cited in an entry, the prize goes to the staff of the news organization. May: Beginning in 1984, a luncheon has been held in the rotunda of the Low Library at Columbia University for the awarding of the prizes. The president of Columbia University awards the prizes to the winners. Family members, associates and friends of the winners attend as well as the board members and faculty of the School of Journalism. Everything about the Pulitzers can be found the official site of the Pulitzer Prizes at Columbia University. Joseph Pulitzer is recognized as an historic Missourian. 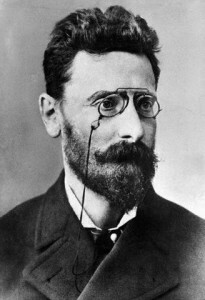 The Rare Book and Manuscript library at Columbia University holds the collection of Joseph Pulitzer’s personal papers. Joseph Pulitzer’s obituary appeared in the New York Times at the time of his death. “The Story of a Page: thirty years of public service and public discussion in the editorial columns of the New York World” was written by John Langdon Heaton and published in 1913. The book, now digitized by Google, examines the editorial pages of The World as influenced by Joseph Pulitzer.